*$25 fee for lost CD if within the first 6 months after your shoot. All sessions are deleted 1 year after your session. $50.00 deposit will hold your spot and is credited towards your session fee of $100. (Deposits are non-refundable, but can be put towards another session). 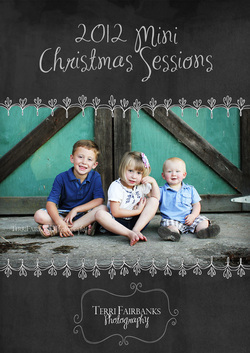 **Mini sessions Are currently closed. No reservations available at this time. Please use the below contact from if you are interested in a future mini-session or photo party.